How do copyright releases differ from print releases? Copyright releases release either all or partial ownership of a creative work. Print releases retain the copyright but allow for usage within the outlined guidelines. Why is this so important to photographers? Ownership of copyright is important to photographers for many reasons, but most importantly, once the copyright is given it is gone. The photographer no longer holds power to dictate how the photographs are used or amended (unless otherwise provided in the copyright release agreement). How should I approach my clients so they understand? There are multiple ways to gently remind your clients that the copyright belongs to you and that digital files may only be printed within certain guidelines. One of these ways is the use of a copyright information card. While the information may be outlined in the contract signed prior to the session occurring, a copyright card serves as a gentle reminder to your clients. Thank you so much for choosing me as your photographer! Here’s some information on the rights and restrictions for use of your products. I know that by purchasing digital files you will be printing and that is no problem! The Copyright Act protects photographers by giving the author (creator) of the photograph the exclusive right to copy, edit, and distribute image by sale or transfer. These exclusive rights make it illegal to copy, scan, edit, or share photographic prints and digital media without the photographer’s permission. Violators of this Federal Law will be subject to its civil and criminal penalties. However, feel free to print for your personal use within the guidelines in the print release form provided. Copyright is retained by [PHOTOGRAPHER BUSINESS NAME] per USC Title 17 (US Copyright Law) and are not released by this agreement. Reproduction is subject to the following restrictions. What if they want the copyright? The beauty of being a business owner is that policies are created and you get to stand behind them. If it is your policy to not give away copyright, don’t do it. If you are open to it, consider charging a premium for the ownership rights because once sold the ownership is gone. What if my client violates the copyright? Violating copyright can be a sticky situation because you don’t want any negative publicity but the infringement is a federal violation and should not be allowed. First, you should contact the client and gently refer them to the contract they signed and/or the print release. The communications should be in writing and include reference to the documents outlining the provisions where copyright is retained by photographer and is explained to the client. Sometimes the mere act of asking the infringer to cease their actions will be enough. If this does not remedy the situation the second alternative is the use of a cease and desist citing that the copyright infringement is a direct violation of your policies of Title 17 of the United States Code, and severe civil penalties are available under United States Law. The communication should also outline the specific request for action or desisting of action paired with a deadline and consequences if not adhered to. This demand can either be in the form of an informal communication or an official communication drafted by an attorney. About Rachel Brenke: Rachel Brenke is a photographer, lawyer, business consultant and social media marketing strategist based out of El Paso, Texas. She has helped over a thousand photographers start up, market and maintain their businesses through online eWorkshops, 1:1 consulting and the free resources on her blog. She has been nationally published in magazines such as Senior Style Guide, Chic Critique, and Lemonade and Lenses. 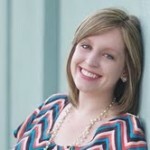 Her blog feature line up includes Bridal Musings, Something Navy Weddings, Style Cusp, Capitol Romance, and a few others! In 2013 she will be speaking at the WPPI 2013 Convention on pricing, business and marketing. Visit Rachel at her WEBSITE and FACEBOOK pages today! Just so you know in Canada the law has changed and copyrights no longer belong to the client. 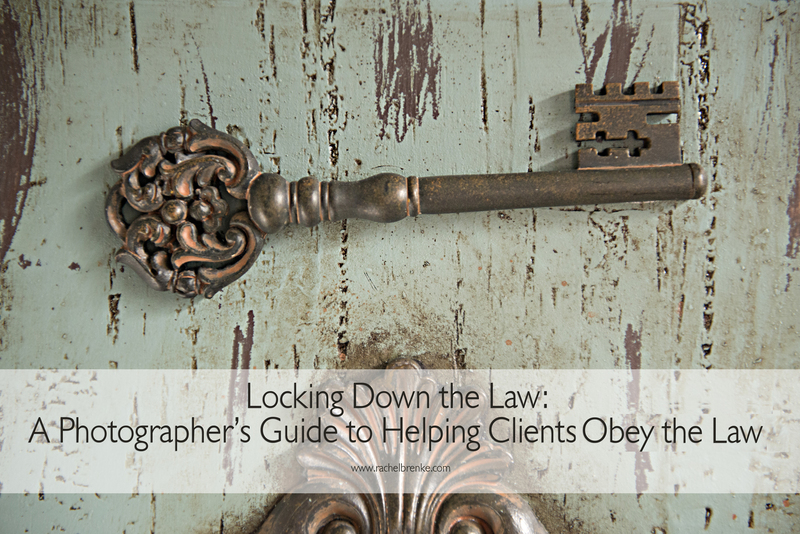 Sorry to Grammar Nazi all over the place, but “Client’s” should be “Clients” in the title. P.S. Excellent article. Thank you!